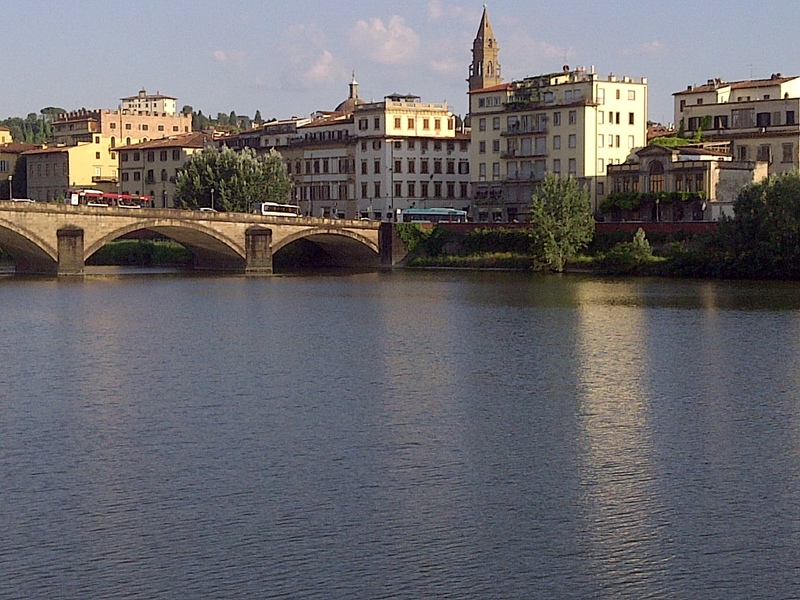 Late afternoon, Ponte Trinite over the Arno, sunny, warm,……Italy! Florence, Italy. June 19, 2013. Just before the beginning of the TUSCANY tour.